Your employees, drivers, haulage drivers and forklift drivers are all incredibly careful, safe and responsible; yes? Unfortunately not. As much as we try to emphasise safety on site and to ensure that staff look after their surroundings; things can, and do go wrong and mistakes happen. A coordinator at an Australian Bollard supplier, Remax Products, says; "we have seen so many occasions where major damage has been made to a site caused by staff rushing to complete their tasks or an operational one-off mistake. The damage by a forklift or haulage vehicle can range from a small scrape, chip or scratch, but predominantly, we see major damage which can cost thousands of dollars to repair." In comparison, installation of a handful of bollards and guardrail around the site perimeter are a fairly insignificant price to pay. "At Remax, we manufacture and install industrial Movidor High Speed Rapid Doors which can be a significant investment to improve the efficiency and temperature control of warehouses and manufacturing or processing facilities" said a Coordinator at Remax. 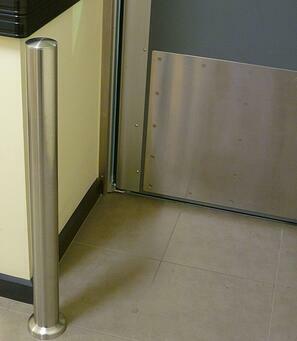 "We will very often strongly suggest that customers install a set of four flexible poly bollards at the base of the doorway/Movidor Rapid Door opening, two bollards on the inside and two on the outside not only help to protect their new Rapid Door asset but also since any collision with the doorway and frame can cause significant damage not only to the doorframe and/or steelwork supporting the Rapid Door but may also result in down-time where the rapid door cannot be opened/closed at all if the door frame is damaged since the door guides will be vulnerable." As you can imagine, the cost of downtime as well as a doorway repair causes major headaches for the boss! You may kick yourself to know that a a set of four bollards worth a few hundred dollars could have prevented thousands of dollars worth of damage and not only that - if a bollard is hit and required repair - the cost of replacing just one bollard instead of a whole doorway frame, the frame steelwork as well as the roller shutter or Rapid Door is a no brainer. Remax Products manufacture a surface mounted Flexible Poly Bollard which is bolted to the floor via a set of six bolts which are implanted into the concrete. If the surface mounted bollard is seriously impacted, the bollard and bolts can be replaced easily whereas In-Ground bollards could damage the concrete floor as they are are embedded (up to 600mm) below the ground and concrete filled. Although in-ground bollards are incredibly sturdy; major impact to In-ground bollards could lift or crack the floor to which they are mounted in. 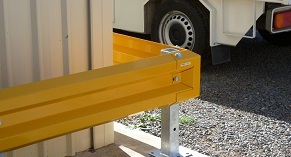 Consider all the options available before you choose which bollard is best for you - think about how many customers visit the site / what type of vehicles do you have onsite / how busy is your site. 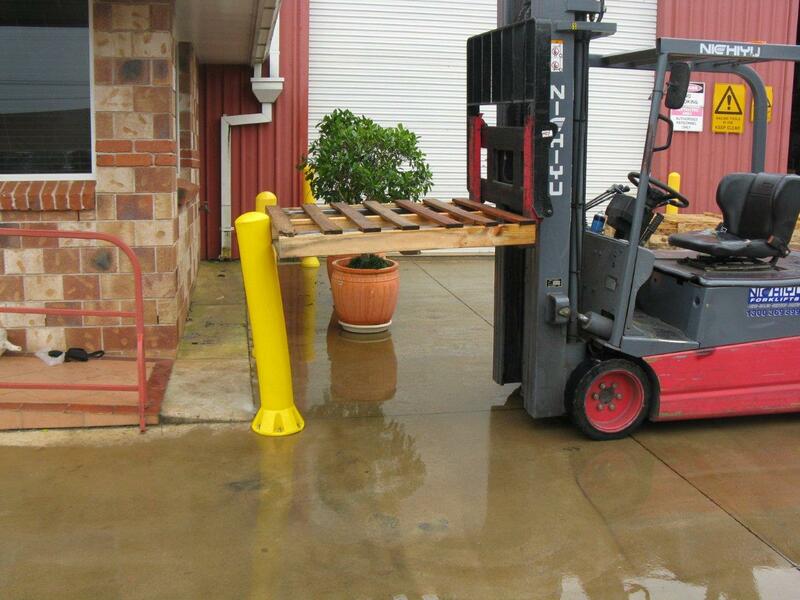 Corners, doorways and parking areas are all high-risk for collisions; especially forklift zones. 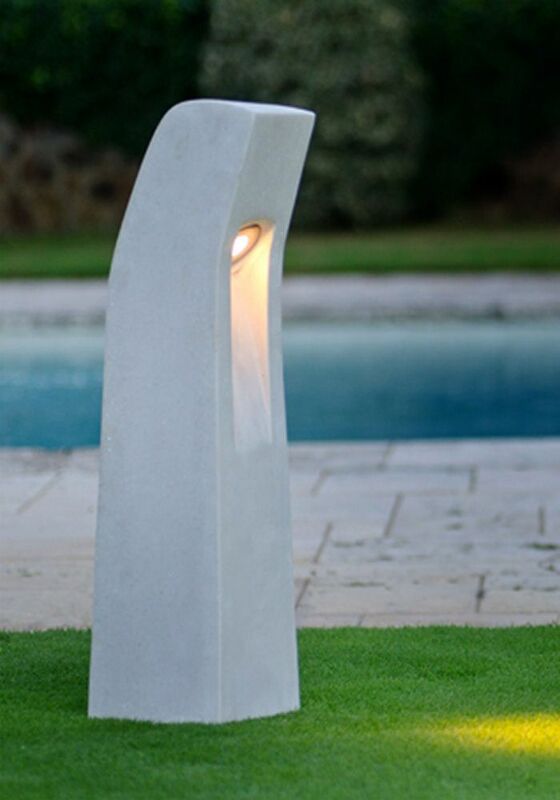 Some Bollards are also very decorative and available with lighting, so not only are they useful for physical protection, they are also decorative and with lighting, can be used to 'guide' people to the front door or delivery area. 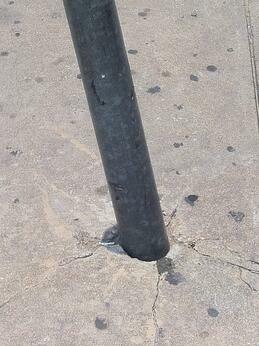 - Bollard installation kits and templates. Contact the Remax Team for a quote, either call on 1800 010 221 or email: info@remaxproducts.com.au.